If you own a brick-and-mortar store or cater to a localized region, it is important to utilize a strategy that will help you capitalize on people searching for your products/services in your area. You have probably noticed that when you perform a localized Google search, there are 7-10 listings shown at the top of the search results. 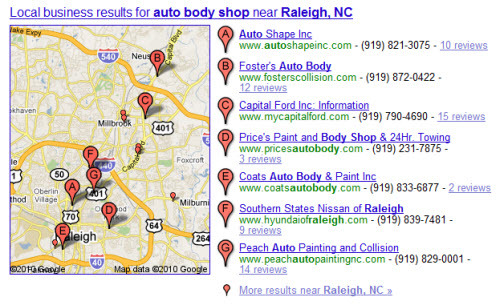 These results are pulled directly from Google’s Local Business Center. If your web site shows up in local results, organic results and paid results, the chance of a user clicking on your listing dramatically increases. How Can a Local Marketing Solution Help My Business?